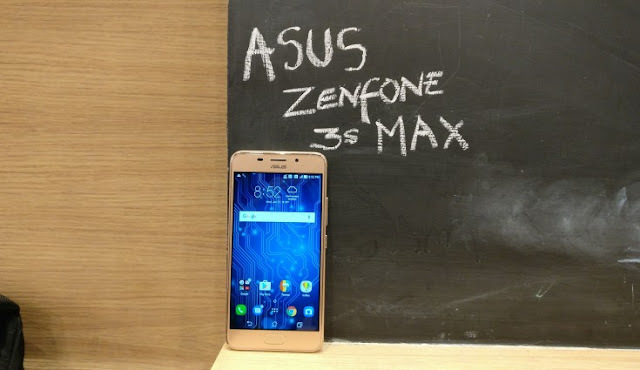 Taiwanese handset maker Asus will be unveiling its latest ZenFone 3S Max smartphone on February 7 in India. The company can be expected to reveal the pricing and availability details of the smartphone. The new Asus ZenFone 3S Max will be available via both on online and offline channels. Much like the Asus ZenFone 3 Max, the new ZenFone 3S Max also packs a large 5000mAh battery, which will be the biggest highlight of the smartphone. It will be available in Black and Gold colour variants. The ZenFone 3S Max (ZC521TL) sports aluminium metal body and comes with fingerprint scanner which is embedded in the home button at the front. Asus claims that the smartphone can be unlocked in 0.5 seconds and it supports recognition of up to 5 fingers. Running Android 7.0 Nougat based ZenUI 3.0, the ZenFone 3S Max supports features such as multi-window mode, ZenMotion Touch Gesture, and GameGenie among others. For specifications, the smartphone features a 5.2-inch HD (720x1280 pixels) display and comes with 2.5D contoured edge. It also features built-in Bluelight filter. It is powered by an MediaTek MT6750 octa-core processor clocked at 1.5GHz coupled with 3GB of RAM and 32GB inbuilt storage. The handset supports expandable storage via microSD card (up to 2TB). On the camera front, the ZenFone 3S Max sports 13-megapixel rear camera with f/2.0 aperture, 5P Largan lens, and dual-LED real-tone flash. The rear camera supports several modes including Super resolution mode, Low-light mode, Panoramic mode, Backlight HDR mode, and Beautification mode. There's an 8-megapixel front-camera on board as well. The dual-SIM ZenFone 3S Max (ZC521TL) supports reverse charging capability which means it can act as a power bank for other smartphones.